Are you in for a fun and informative activity? Join the Redwood Grove Loop Walk, a guided half-mile stroll through a magnificent old-growth redwood forest. Saturdays and Sundays at 1 pm. How do these grand redwoods grow to be so old? So tall? How are they important to humans? Meet the famous Mother Tree, the Father of the Forest and the incredible Chimney Tree on this 90-minute walk. Stroller and wheelchair accessible. Meet at Park Headquarters, located 9 miles north of Boulder Creek on Highway 236. Event is free; vehicle day-use fee is $10. 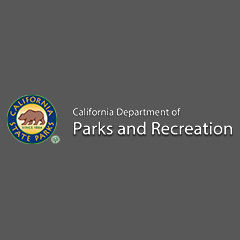 Event made possible by Mountain Parks Foundation, California State Parks volunteers, and California State Parks.